By optimising energy consumption across a network, you lower energy usage, reduce running and system repair costs and achieve better energy efficiency. 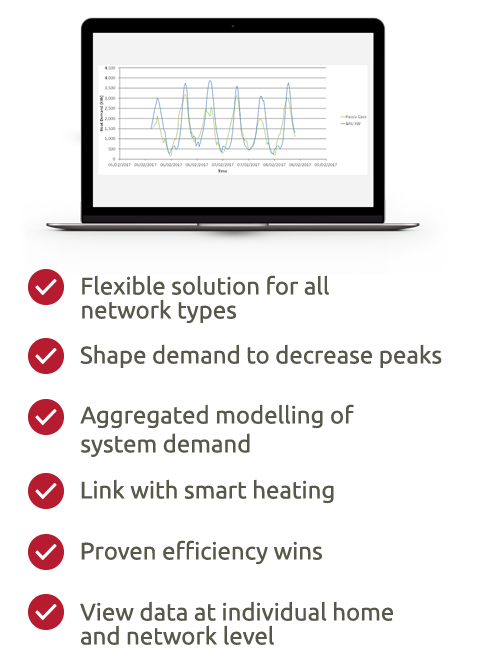 We link smart heating controls to our platform-level aggregated demand management tool. By actively managing demand peaks we flatten the demand profile, to provide a range of proven efficiency wins, achieving over 15% less carbon emissions by lowering the network flow rate and reducing pumping energy.